For most people, the headset is basically a device which has the function of delivering audio (sound) coming from electronic devices. However, it has been a different matter for Plantronics, an American company based in California, introduced the fifth generation of the Voyager Voyager series Legend. Plantronics presents tagline "The next generation of an iconic bluetooth headset" for Voyager Legend. Delivers Smart Sensor technology, this feature will instantly react when you turn on the device. If it is integrated with the phone you have, this technology will allow you to quickly be able to receive phone calls without having to take ponsel.Voyager Legend able to respond to your voice commands using the smart way. For example, when you receive a phone call when you're not wearing the headset, you just simply put on the headset and the phone call will be automatically picked up. Additionally, you can answer the phone call, by giving voice commands like "answer" (responsible) or "ignore" (ignore) without the need to press the voice recognition. In addition, this headset can also receive 10 voice commands such as "check battery" to know the battery capacity, "pair me" to connect the headset to the phone using Bluetooth 3.0, connection status, and more. However, you need to enable it first using the voice command button on the headset Voyager Legend.Headset Voyager Legend also has other advantages with the ability to store the call record, which is in accordance with the contact details on the contact list on your phone. Finishing design looks delicate, tiny physical form, however, still shows the elegant side of a headset. Use with any duration of time long enough, will not cause pain in the ear. Headset with simple design has up to 7 hours of battery life with continuous use, the addition of a mic that reach the three were also made to produce crystal clear sound quality during a conversation by telephone.Voyager Legend is also equipped with Military Grade Moisture Protection technology, where the technology will protect your device from dust, sweat, rain, collisions even when falling. Components of the device as well as a whole will be protected from potential hazards such as corrosion. 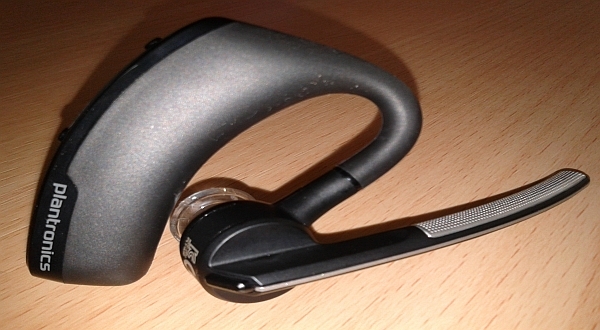 In addition to presenting the headset, Plantronics has an application called Find MyHeadSet supporting devices. Applications can now be used by users of the iPhone and Android smartphones, will present tips and tools so that you can maximize the Voyager Legend for free. You also can using current Voyager Legend not only on the iPhone or Android smartphone, the device can also be paired to a BlackBerry. By segmenting the young, not so strange if this headset will boost your confidence, and facilitate the use of modern technology in a way.